Claire Connolly is living in a post-war New Orleans, Louisiana. The veil between our world and the world of paranormal creatures fell in the middle of the city. Seven years after the end of the war, the veil is back up and natives are still dealing with what that means for New Orleans. The paranormal creatures on our side of the closed line are kept in a prison community called Devil’s Isle that’s controlled and built to detect when magic is being cast. These detectors are also spread out throughout the city (outside of the imprisoned community of paranormals) in order to catch any individuals using it—including Claire. Claire is what we call a Sensitive in post-war NOLA. She was sensitive to the outpouring of magical energy when the veil came down and now she has special abilities. Of course, she doesn’t do it in public or even in her house, if she can help it, or risk being sent to Devil’s Isle. In order to prevent the magic from taking over and controlling it, she teams up with Liam Quinn, a bounty hunter frequenting Devil’s Isle on a daily basis. Together, they work on helping Claire control her ability, discovering some life-altering facts about this new world they are living in along the way. I had high expectations going into The Veil and at one point was nervous to actually start reading, scared I’d be let down (because of those high expectations). I snapped out of it when I realized it was unfair of me to place Chloe Neill’s new book so high up on that pedestal because of my love for her Chicagoland Vampire series. Well, The Veil blew my expectations out of the water. Even setting them aside, I never expected to get as sucked into this world the way I did. One of the components I loved the most about The Veil was the way Neill used food to create a link between the old NOLA and the new one. Her descriptions of local food favorites brought the food to life to my senses, seriously waking up my appetite. NOLA’s culture is heavily food-oriented and even in a post-war NOLA, the locals are still digging into their roots and trying to cook the food they grew up with—’Meal Ready to Eat’ or otherwise. I also enjoyed the instant connection between Claire and Liam. 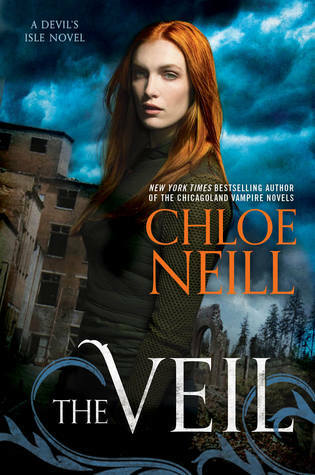 The Veil is a straight up urban fantasy novel with an extremely slight romance element. Of course, in true Neill style, those brief glimpses of the romance between Claire and Liam were beautifully done and true to the characters’ personalities. The tension between Claire and Liam was built steadily and intensely in the same way Neill drove us crazy with in her Chicagoland Vampires series. I’m looking forward to seeing this relationship develop as the characters themselves do. Both have inner battles to conquer and I was happy to see them stick to their individual personalities while they seemed to be obviously falling for each other. 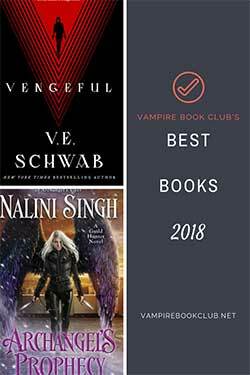 The Veil was another top book for me this year. 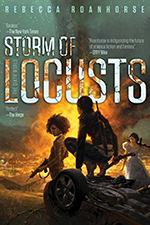 It was full of action, a steady to fast-paced plot, mystery, a slight romance element, and an interesting mix of familiar, yet unique world-building. Any and every urban fantasy fan out there needs to read this! On my TBR list and looking frward for Chloe Neill’s world and character building. I have to say that this one was just ok for me. I don’t know if I’m too spoiled by a certain other couple written my Ms. Neill that we all know and love or what, but it didn’t click right away. But now that we’ve gotten the general world building done with in this first book, I am looking forward to seeing what happens next. I really liked this book! It was so different than her other series, but it was different in a good way! I enjoyed how she made New Orleans come to life. I love Chloe Neill! Her Chicagoland Vampire Series is so good. I was really excited for this new series. I pre-ordered it and have been anxiously awaiting its release. I would love to win this giveaway! Thank you for this wonderful opportunity. I’m excited about reading this! I love her Chicagoland Vampire series.